Hello there and goodmorning (or goodafternoon by the time I post this). 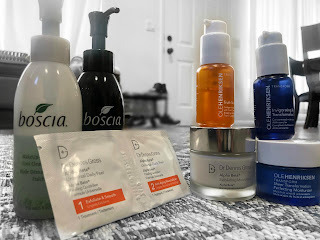 In today's skincare post I will be talking about what I have been using on my skin for the past month or so and let me tell you, I have been loving EVERY product! I have a love/hate relationship with my skin, as I'm sure most of us do. I have combo skin, oily on my t-zone but dry under my nose, around my mouth and under my eyes at times. Great right?! Why couldn't I be blessed with perfect skin?! Well, that leads us to this post now and hopefully you will gain great information and who knows, maybe you'll find a great product that you love! First of all, I will disclose some important information you all must take into consideration. Everyone's skin is different. My results may be different then from what you result in if you do decide to try these products. This is all that has been working for me. However, I do my best to address all skin concerns. Also, I have two slightly different routines I do day and night and I will be talking about both. Alrighty now, lets get started shall we? The first product I use is this piece of magic right here. I primarily use this at night especially after I wear makeup. 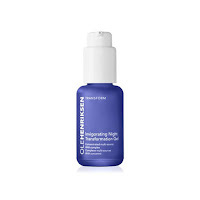 This product helps break down all the makeup you've had on throughout the day. Even if I wasn't wearing makeup that day, I still like to use it at night to break down any dirt I have on my face. I start with dry hands and apply it on my dry face. I massage it in circular motions for 30 seconds. After that, I rinse it off and bam! 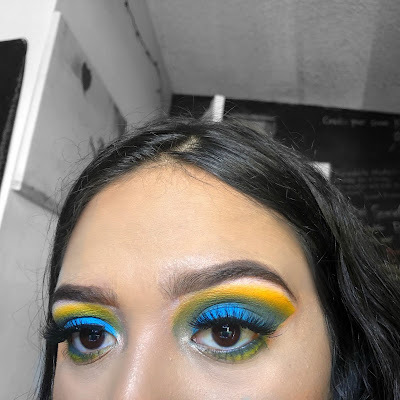 my makeup is gone. This is great for all skin types and cleans out those pores. 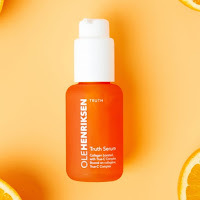 It's loaded with anti aging preservatives and Vitamin E.
Fun Fact: Whenever you see the "Clean at Sephora" logo, it means the product is formulated without Sulfates SLS and SLES, parabens, formaldehydes, formaldehyde-releasing agents, phthalates, mineral oil, retinyl palmitate, oxybenzone, coal tar, hydroquinone, Triclosan, and Triclocarban. This next product I use day and night (Daytime this would be my first step and nighttime this would be my second after the makeup breakup cleansing oil). It is the Boscia detoxifying black cleanser. I was just amazed when I was first shown this product at my brand training with Sephora. 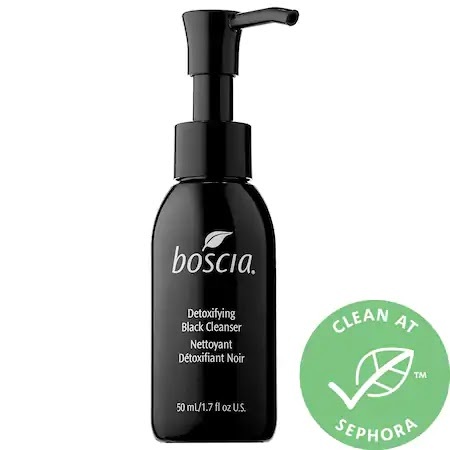 So, what this pretty much is, is a black charcoal cleanser that heats up on contact with your skin. You apply this with a damp face and wet hands. The heating effect opens up your pores and the cleanser gets really in there with that effect. In doing so, it reduces pore size, exfoliates, brightens the complexion, lifts impurities, and eliminates any excess oils from the skin. Next, I bring to you the Dr. Dennis Gross Universal Daily Peels. This stuff works SO well, but yes I will give you a fair warning, (at least for me) it did burn in the beginning. My skin was not used to a chemical exfoliant and as I do have sensitive skin I still decided to try this out and it works for me. If you do have sensitive skin however, they have peels specifically for that skin type. Now, it feels more like a tingle than a burn. There is two pads that you use which are labeled step 1 and step 2. 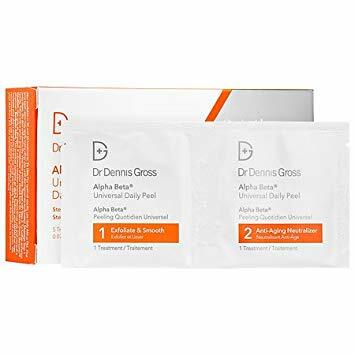 The first pad is to exfoliate and smooth and the second is an anti aging neutralizer. This is a solution for uneven skin tone and texture, fine lines and wrinkles, and enlarged pores. These pads are also vegan and cruelty free. This wondrous orange serum is magic in a bottle for dull skin. I notice such a big difference in the liveliness of my face because of this. This is the serum I use in the daytime. This product is great for all skin types. It is a solution dryness, dulness, and bring back firmness and elasticity. It is supercharged with Vitamin C and collagen! 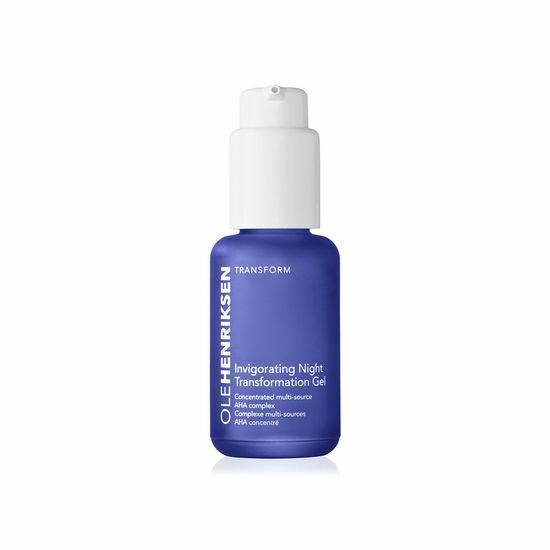 For my nighttime routine this is the serum I use. It is an anti aging serum and AHA's to smooth the skins texture, reduce fine lines and wrinkles, and uneven tone all while you sleep. 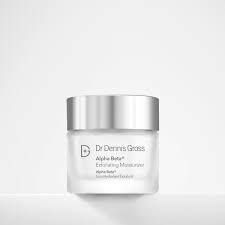 For my last step in my daytime routine I use the Dr. Dennis Gross exfoliating moisturizer. It is great for all skin types and helps with dryness, dullness, and fine lines and wrinkles. It is so soothing and my favorite is putting any of my moisturizers inside the fridge and applying them when they are cool. The exfoliating actions help the moisturizing components give you hydration where you need it the most. It is also vegan and cruelty free. For my last step in my nighttime routine I use the Ole Henrikson sheer transformation perfecting moisturizer. 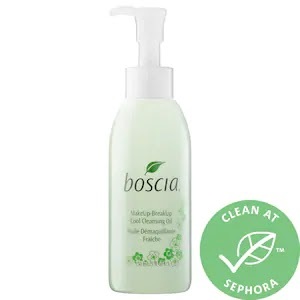 It is for al skin types and is a oil free moisturizer that helps with dark spots, dryness, and dullness. It has a whipped, silky texture that will nourish the skin. There you have it ladies and gentlemen! My 2018 skincare routine! I hope you found all this information helpful and I will update this if anything changes! If you have anymore questions on these products feel free to send me a message. I encourage you to try these products out and let me know how they work for you! Combo skin is seriously so hard to deal with sometimes! It's like you either have to do all or nothing. This is a really good review! Yes! Seriously!! Someone who gets it! haha. You have to put different products on different areas of your face and we spend like 10 or more minutes in the bathroom with our skin routines. Thank you Sarah! Will be checking out more of your blog, I love it! 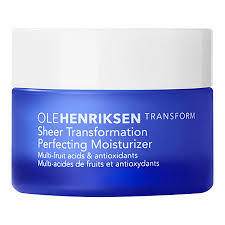 ole henriksen is my very favorite spa hands down. best facial ever! I haven't been to the spa I have to go try!! !